Call for price Please send email to info@yangdaonline.com for pricing. 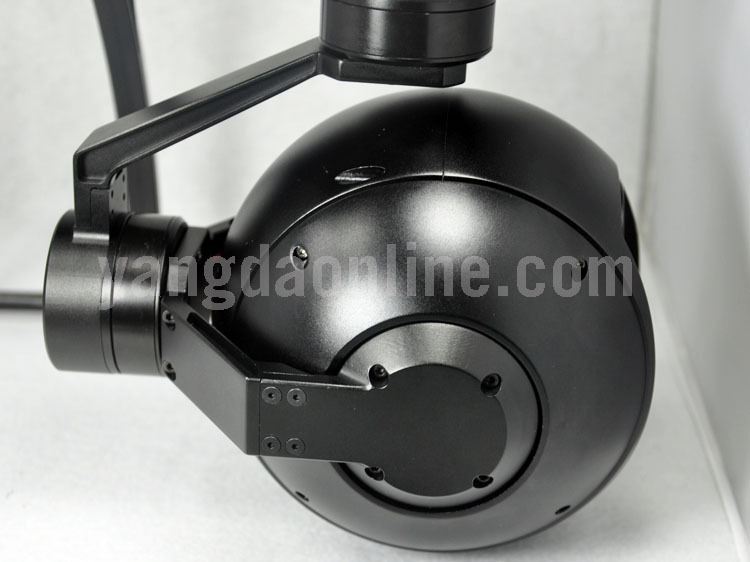 Eagle Eye-30IE is a 3-axis high stabilized gimbal with EO(electro-optical) and IR(infrared) sensors for drone inspection, surveillance, search, and rescue applications. The SONY 30X zoom camera provides 1080P 60FPS full HD video streaming and up to 360X zoom capability, which enable you to see every detail you need in the air even you are far away from the object. 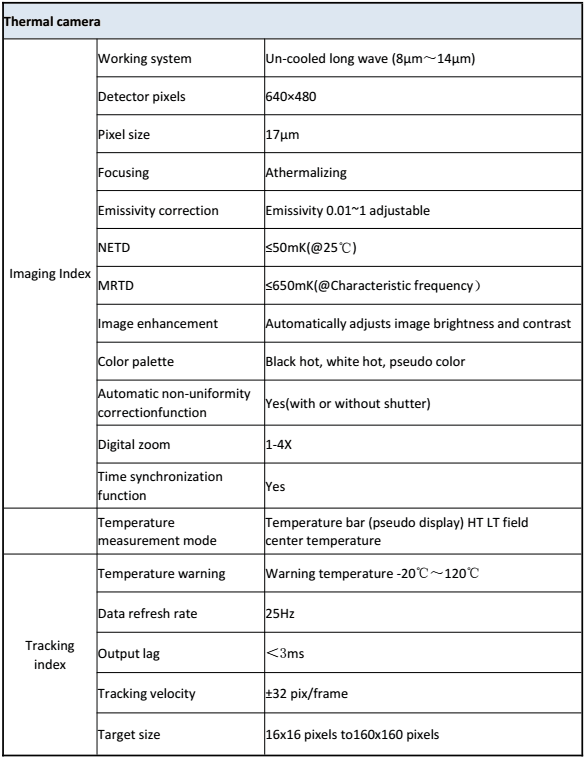 While the thermal camera allows you to detect targets in the night or low visibile conditions, and provides you with priceless information when you are carrying out missions like inspecting or monitoring objects. 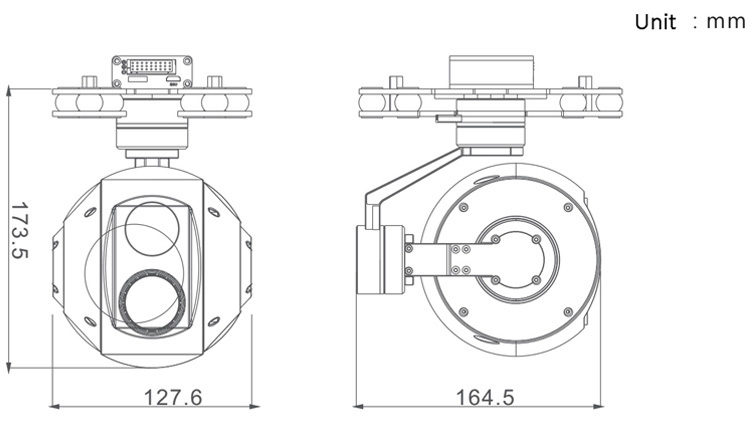 High-performance 3-axis gimbal is developed based on FOC(field-oriented control) technology, which will give you crystal clear video footage. 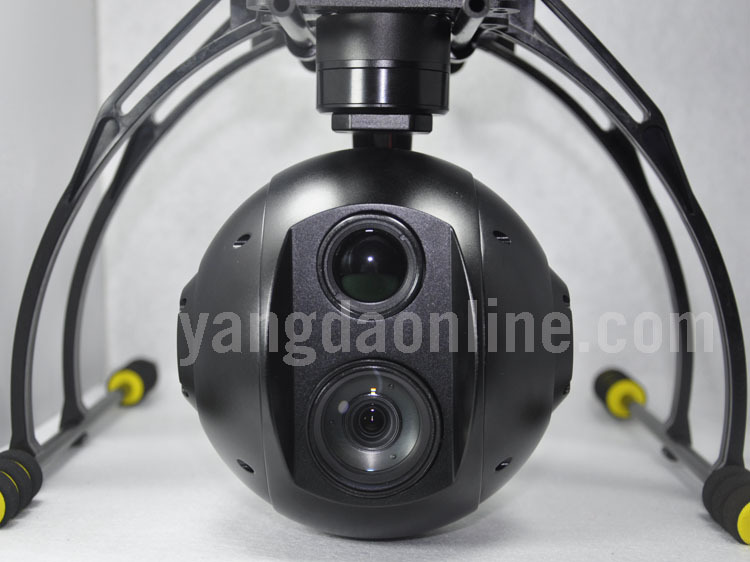 Eagle Eye-30IE is using the most advanced thermal tracking technology, with which you will never lose the object, the tracking function works on daylight sensor too. How it works:zoom in and put the object you want to track in the screen, move the cursor to the object and lock it via controller, and then the camera will track it automatically. 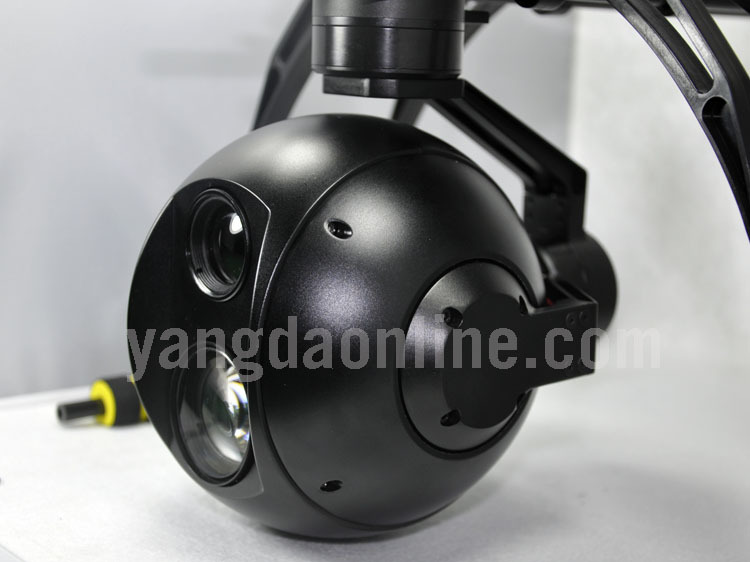 Another big feature for Eagle Eye-30IE is that the gimbal will geotag the video streaming and photos, also gimbal Yaw/Pitch angle, height, time information will be displayed on camera OSD, this is really important when you are conducting missions like rescue and search. 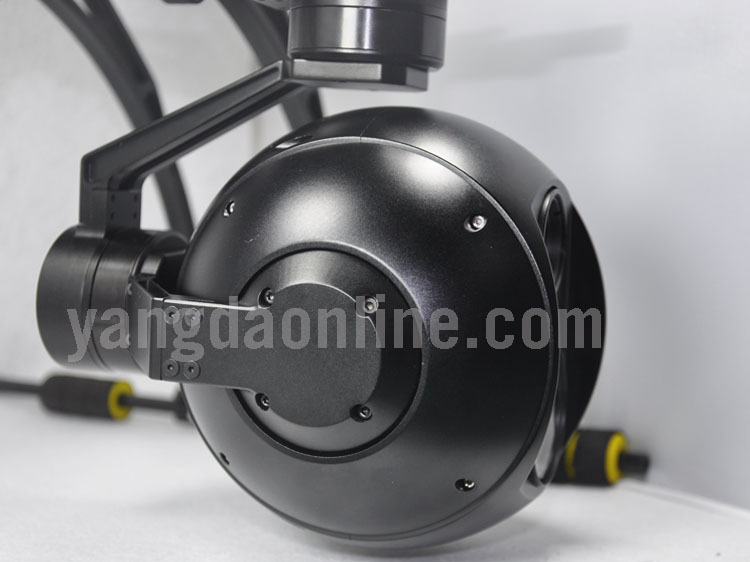 Eagle Eye-30IE comes with an amazing advantage that the gimbal can not only be controlled via PWM signal,but also serial command. 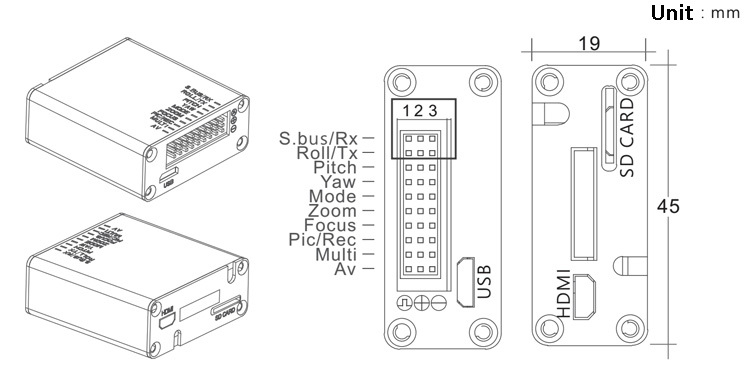 Also, gimbal status(like Yaw/Pitch/Roll angle, zoom position etc) can be obtained by sending serial command to the gimbal via its serial port, which is really useful for precise gimbal control and system integration. 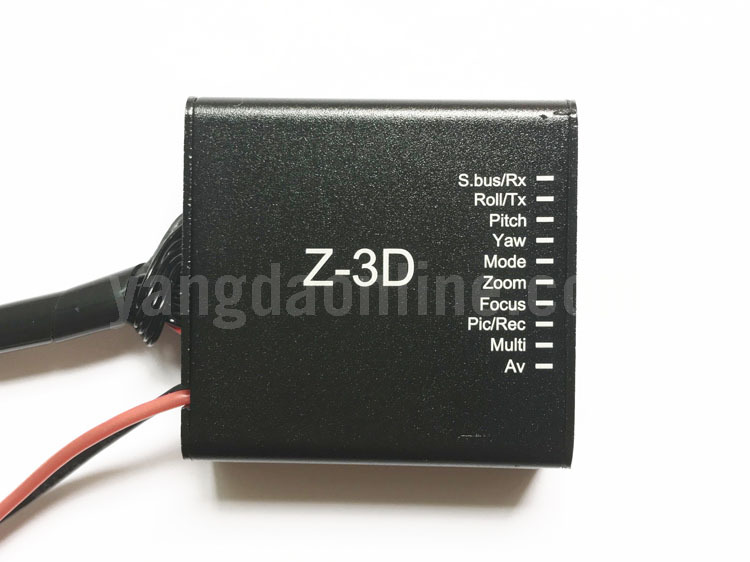 Eagle Eye-30IE provides an outstanding wiring hub design for RC receiver and video output port, which makes wiring pretty easily. 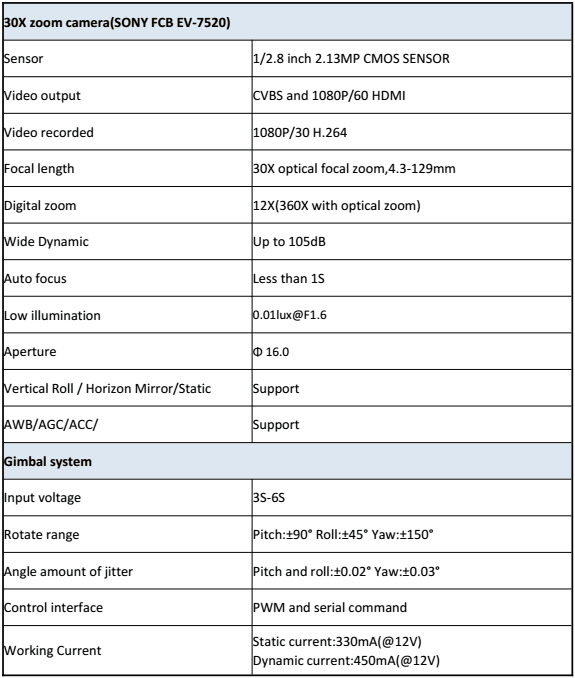 Also, the gimbal offers 2 smart speed modes: FAST speed and LOW speed. 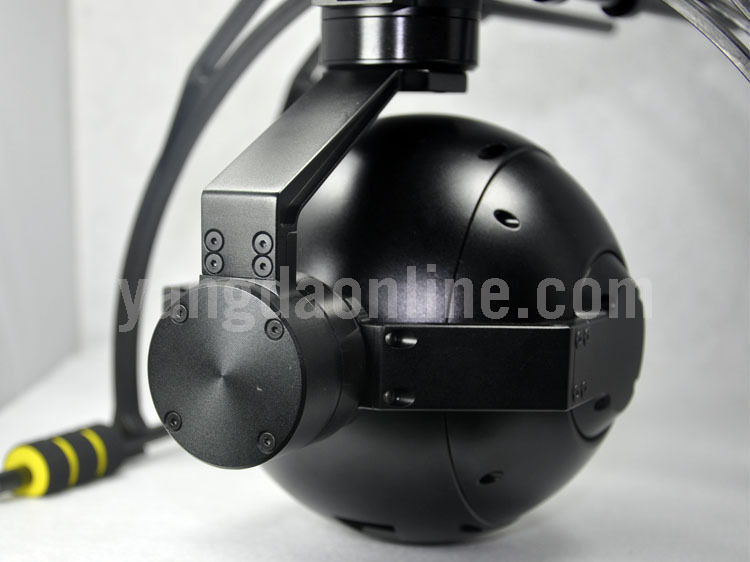 Fast speed mode is used for small zooming range, which makes the gimbal control sensitive and quick. LOW speed mode is used for large zoom range, will enable you to target the object more accurately. 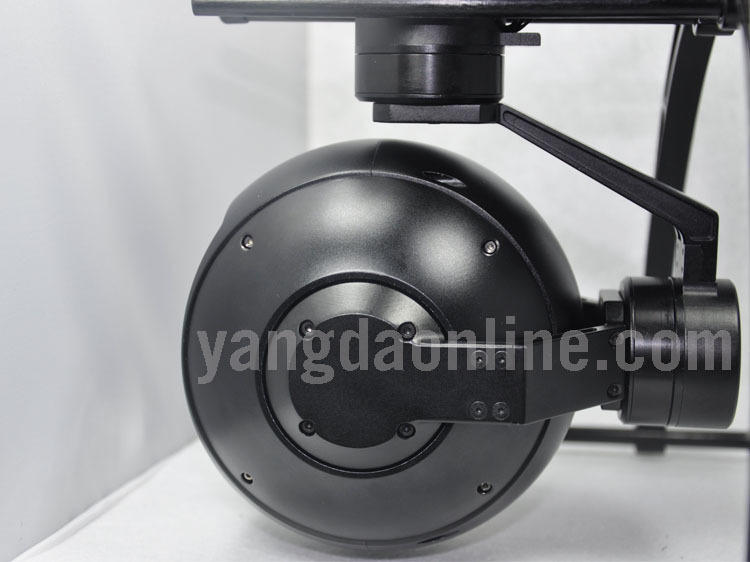 11) Adjustable control speed: SLOW speed for large zoom range,accurate.FAST speed for small zoom range,sensitive and quick.